Most Popular Chinese Dishes would like to introduce the most Famous Chinese food for you. Some of them are renowned for the bright color and tender taste, some of them are popular among spicy fanatics and still some of them, focusing on the original but well-mixed taste…Come with us and start this eye-ball-feast. 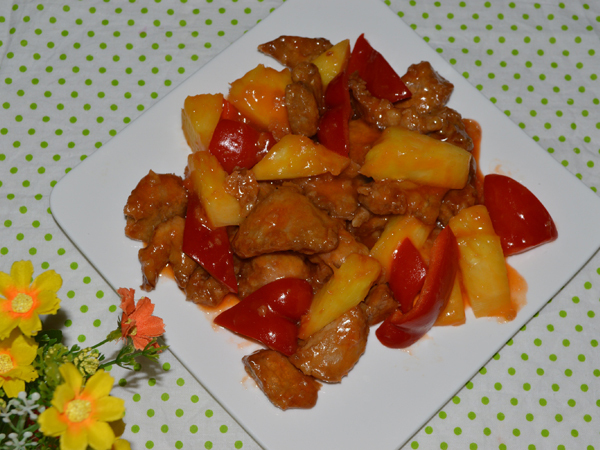 Sweet and Sour Pork is a very common but popular dish in China and even may be found all over the world. 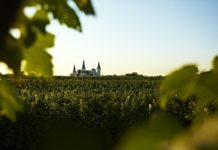 With creative design, it has well-mixed two totally different flavors – Sweet and Sour. The history of this dish can be traced back to 18th century that raised in Candon area. The dish consists of fried pork in bite sized pieces and the subsequently stir-fried in a more customized version of sweet and sour sauce that made of sugar, ketchup, white vinegar, and soy sauce. The additional ingredients includes pineapple dices, green pepper and onion pieces. Due to the Regional and custom difference, this dish has Hong Kong/Guangzhou version and Northern China version. Gong Bao Chicken or Kung Pao Chicken is a traditional dish of Sichuan Cuisine that famous for its fresh and spicy flavor and tender taste. 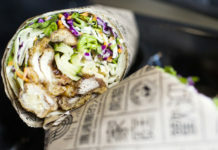 The dish has two versions, the traditional Sichuan version and Westernized versions; the latter is more popular in the United States and some other western countries. 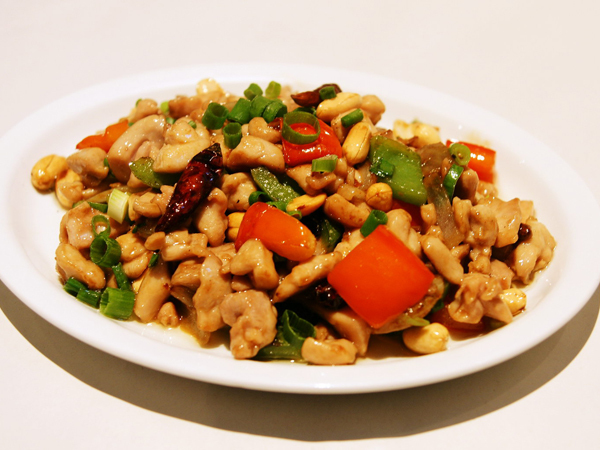 In the original Sichuan version, Gong Bao Chicken starts off with fresh, moist, unroasted peanuts or cashew nuts. The peanuts or cashew nuts would first be dropped into the hot oil on the bottom of the wok first, then deep fried until golden brown before the other ingredients are added. The Spring Roll is a very famous snack that popular among people in China, Southeast Asia and East Asia. In China, it has several versions according to different regions and cooking ways. In Eastern and northern China, originally, the spring roll is a special food served in Spring Festival that rolled with cabbage and other vegetables inside. It is very popular among people of Zhejiang Province and northern China. 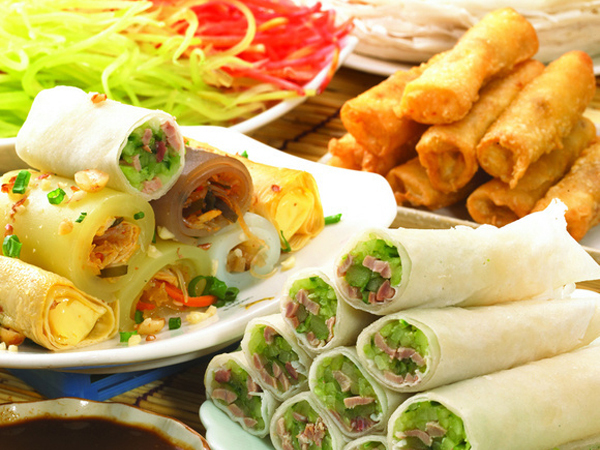 Also known as Spring Cake, spring rolls is a classic folk snack that popular among Fuzhou People since ancient times. 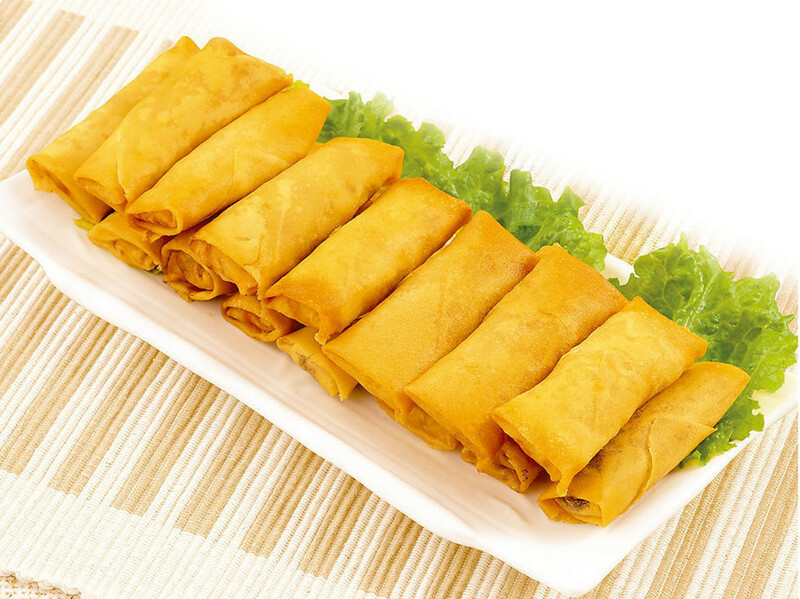 The Canton-style fried Spring Roll is also very famous for its crispy taste. 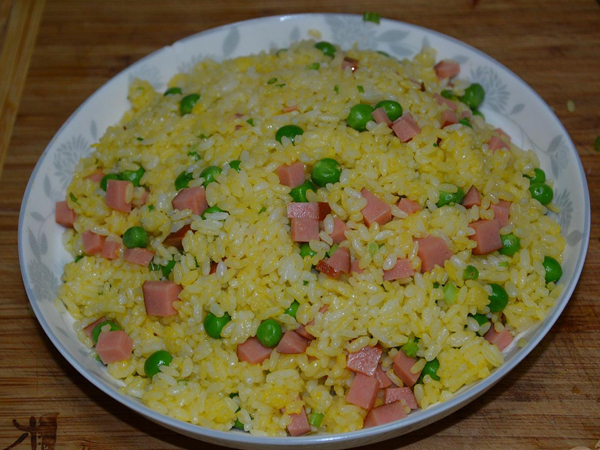 Fried Rice is a very common and popular dish in China and also in Asian area. The non-rice ingredients used in this dish are greatly varied, like egg, vegetable, meat, sausage and seafood, etc. Egg is the most common non-rice ingredient. An authentic fried rice is made from cold rice that has already been cooked by steaming. The use of leftover rice and other leftover ingredients, especially egg, is common when cooked at home. It is important to use leftover rice because the moisture in fresh rice will cause it to steam instead of fry. 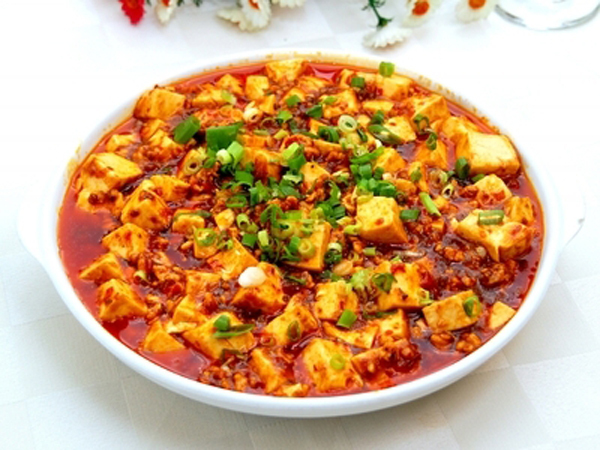 Ma Po Tofu or Ma Po’s Bean Curd, is a very typical and famous spicy dish in Sichuan Cuisine and is very popular among people in Chengdu. The main ingredient of this dish is tender bean curd that set in a spicy and bean-based sauce, usually an oily and bright red suspension, and often cooked with minced meat, usually pork or beef. It is said that the dish was created by a pockmarked but ingenious woman, whose name was Ma Po. “Ma” stands for “mazi” which means a person disfigured by pockmarks or leprosy. Dumpling, Chinese meat ravioli or Jiaozi in Chinese, is a food that can be made and cooked in many different ways. They are small lumps of dough, and you can eat them as staple food or snack. The history of Dumpling can be dated back some 1,800 years ago. And it is a very popular food in northern China. Customarily, people of this area will prepare and eat dumplings at the Spring Festival and Winter Solstice. Dumplings may be sweet or spicy. It depends on what kind of ingredient and sauce you choose. Pecking Roast Duck is absolutely the most famous dish in Beijing. It was an imperial dish during ancient China, some thousand years ago. While in the late 1800s, the public got its first whiff of the dish when chefs began opening restaurants outside palace walls. Originally, it was a dish reserved only for the emperors table, with the passing of time, Pecking Roasted Duck gained its fame home and abroad, its unique and delicious taste favored by foreign tourists as well as by Chinese people. Won Ton, like the Dumpling, is also a kind of meat or vegetable-stuffed lumps of dough with soup. 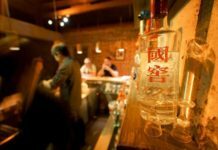 It is very popular among people in Southern China, especially in Chengdu, Guangzhou and Hong Kong, though originally it was raised in Northern China that served mainly in The Winter Solstice. Won Ton is usually made by spreading a square wrapper (which is a dough skin made of flour, egg, water, and salt) flat in the palm of one’s hand, placing a small amount of filling in the center, and sealing the lump into the desired shape by compressing the wrapper’s edges together with one’s fingers. 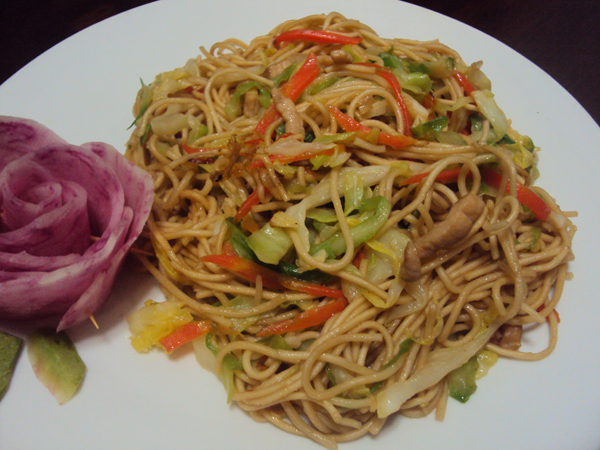 Chow Mein is a Chinese term indicated a very convenient and popular dish in China – the stir-fried noodles. Generally speaking, a stir-fried noodles will include noodles (flat or round), meat (port, beef or chicken) and varied vegetables like onions, celery and carrot sticks.